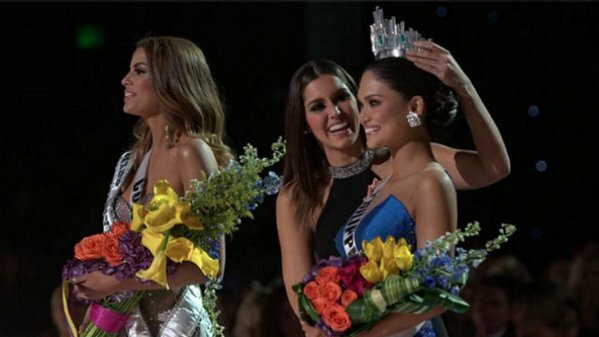 Watch host Steve Harvey announces wrong winner of Miss Universe 2015 - Balita Boss! Host Steve Harvey was mistakenly crowned Miss Colombia Ariadna Gutierrez Arevalo as the winner of the Miss Universe 2015. As the crown was already on the head of Arevalo and had been given her flowers, Harvey interrupted the live broadcast and said he'd made a mistake and that the actual winner was the person he named as first runner-up, Miss Philippines Pia Alonzo Wurtzbach. Miss USA Olivia Jordan was second runner up. After the competition ended, Harvey took to Twitter in order to apologize.